Ah, good evening! So glad you could join me here in Old Blighty, in foggy old London. Don’t mind the dark and chill…those are things you’ll have to get used to. We have almost arrived at our destination. Oh, there it is now! Number 50 Berkeley Square. Such a nice old fashioned storefront. What’s that, you say? The place gives you the creeps? You want to get away? Nonsense, old boy! This is what you’ve come all this way to see…the most haunted house in London! Yes, indeed, this rather innocuous looking Victorian storefront, currently the home to Maggs Booksellers, had the reputation of being the most evil locale in England for many years. Not just a place where ghosts were seen or strange noises heard…this was a place where people died of terror or lost their sanity due to the awful things they had seen. Today the ghosts and demons seem to have vacated the premises, but an eerie feeling lingers. Let us examine the history of #50 and see if we can separate fact from fiction. The building is quite old, having been built sometime in the mid-1700’s. It was a handsome four story brick structure, a solid urban townhouse located in a very high end area of London. It had been the residence of various merchants until former British Prime Minister George Canning made his home there in the early 1800’s. Canning remained there until passing away in 1827….there was never any talk of spirits or disturbances during his tenure. Nothing that would inspire the later tales of terror. The next tenant of #50 was a Miss Curzon, who stayed there until her death in 1859 at the ripe old age of 90. Her tenure was also unremarkable. But it was after her death by natural causes that the reputation of the pleasant and well-appointed domicile began to darken. In time, the location was considered so haunted and plagued by madness that it was impossible to find a tenant for it. The famous (or some would say infamous) Victorian writer Edward Bulwer-Lytton, the author of “The Last Days of Pompeii”, used #50 as the setting for his ghost story “The Haunters And The Haunted”. 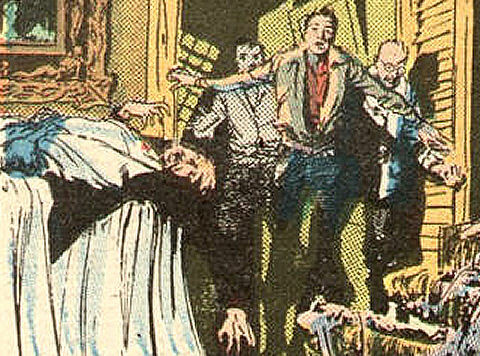 The story featured a rationalist hero daring to stay in a haunted house with his compatriots. Horrible things are indeed seen but each person sees something different. Bulwer-Lytton, contrary to skeptical belief, based his story on tales he had heard about 50 Berkeley Square…those tales were not inspired by the author’s own work. 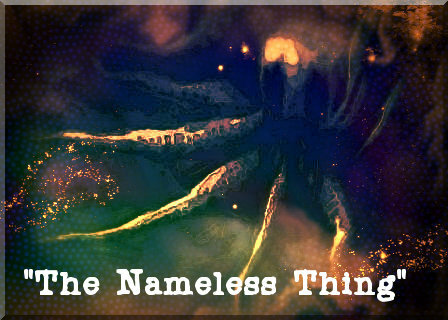 He had heard that a “nameless thing” inhabited the abandoned townhouse. More than just a ghost, this apparition was said to be unhuman, and capable of inducing madness. After Miss Curzon’s demise, the location was rented by a certain Mr. Myers, a wealthy man who was planning on marrying his true love and moving in. As the story has it, Myers was abandoned by his prospective bride, who eloped with another man. The experience unhinged his mind and he became a reclusive hermit at #50. He lived like a virtual prisoner there and had meals brought in and left for him. He refused to meet women and used only male servants. As his fortune dwindled, he had difficulty keeping up rent, but was given leniency by the courts. He was known to sleep during the day and wander about the townhome at all hours of the night with a candle in hand. Myers lingered on until passing away sometime in the mid 1870’s. Now the hauntings of 50 Berkeley Square were to begin in earnest. The rooms were said to radiate such an atmosphere of melancholy and dread that even those trying to sell them were affected. They stayed empty and entered a state of decay. But at night, candlelight was still seen bobbing in the windows, as if Myers still wandered there. The most infamous and perhaps apocryphal of all the stories surrounding the cursed location occurred a few years after Myers’ death, during the period when it was abandoned. This was the incident that secured #50’s reputation as an evil place and also the one that inspired Bulwer-Lytton’s story. Two sailors, after a night of drunken carousing, were trying to avoid a night in jail or worse, in the Navy stockade, broke into #50. This was said to have occurred in winter. The pair lit themselves a fire in the abandoned chimney and prepared to sleep off their debauchery in relative shelter and warmth. It would have been better if they had slept in the cold, wet street. It isn’t known exactly what happened that night. But in the morning light, the body of one of the sailors was found impaled on the wrought iron fence surrounding the building. He had jumped from the top floor of #50, apparently because he found that preferable to what awaited him inside. As for his companion, he was found alive in a room on the upper floor…a raving lunatic babbling about a “thing” which had come for him and his friend. The story may very well be urban legend…no names were ever associated with the unfortunate seamen. But residents in the surrounding area all swore for years that the bulk of the tale was true. And those men were not the only ones who encountered the “thing”. At one point during the long period of abandonment, the space was rented to a successful businessman, who cleaned the unused property up and moved in with two teenage daughters. Immediately, the girls sensed the presence of something strange. There were unpleasant smells and “cold spots”. At one point, the fiancé of the oldest girl, a military man named Captain Kentfield, planned to stay overnight in a room most associated with the phenomena. When a serving girl tried to prepare the room for him. she saw something hideous materialize in the room and let out a terrible scream. Kentfield and the others entered the room to find her in a state of shock. She gibbered something about a “slimy thing” and promptly passed out. She died the next day in hospital. Kentfield was determined to get to the bottom of the situation. The combat veteran armed himself with a gun and prepared to spend the whole night awake in the room where the girl had died. At first, his stay was quiet and unremarkable. Then there was a horrible scream of fear and a gunshot. The father and his daughters rushed to the room. Captain Kentfield had indeed fired his gun…at his own head. What could he have seen that would make him take his own life? That story was one of many collected by the author Charles Harper and put in his famous 1913 book “Haunted Houses”. Harper seems to be the chief custodian of lore about #50 and perhaps the man most responsible for creating its image as “England’s most evil house”. Many have accused him of creating much of the lore out of whole cloth. While perhaps that is true in some cases, it is certainly not all. There were decades when the abandoned building was the talk of London…such famous writers as Rudyard Kipling, Arthur Conan Doyle and the previously mentioned Edward Bulwer-Lytton were inspired to write ghost stories inspired by #50 and there were even popular songs and poems written about the “cursed spot” and the “Thing” that dwelt there. Were Harper’s tales of the address 100% truthful? Almost certainly not. But neither were they made out of thin air. When a large chunk of real estate in a very desirable part of a great city lies vacant for decades despite all attempts to rent it, there is something behind it. In the 1920’s, after many years of rumor and abandonment, the well-known ghost researcher Harry Price decided to investigate the location. Price would later become infamous for his controversial work on the Borley Rectory hauntings. Borley would ultimately be known as “the most haunted house in Britain”, but before that, there was 50 Berkeley Place and Price was determined to unlock its mysteries. Price became convinced that the address was the home of poltergeists…invisible forces that were capable of moving objects, creating weird noises and even starting fire. He looked into many of the stories about the location, going back even before George Canning’s residence there, and made some interesting discoveries. Prior to Canning’s occupation, the address was rumored to be the headquarters for a gang of ruthless criminals. Did the activities of these evil men provide the force that haunted the location? Or were they the ones who spread ghost stories as a means of keeping intruders away? The answer is unknown. Apparently during the 1840’s, the period when the spinster Miss Curzon rented #50, there was a brief outbreak of odd noises coming from the townhouse. Bells rang in the middle of the night and there was the sound of dragging furniture. But nowhere was there any of the horrific manifestations that resulted in death and madness in later years. In fact, the noise outbreak of the 40’s was relatively brief. But it was a sign that strange events were not unknown prior to the hauntings of the 1870’s. Price concluded that mild poltergeist activity had been present at #50 for quite some time, but that the occupation of the disturbed Mr. Myers somehow caused things to take a turn for the worse. During his own stay, he experienced nothing more than a few odd noises, even in the room that was said to be the site of much of the death and madness. Years later, Price’s methods would be severely questioned during the Borley Rectory debacle. In 1912, the occult writer Jessie Middleton provided a completely different slant on the Berkeley haunting. In her book “The Grey Ghost”, Middleton stated that the spirit haunting #50 was that of a young Scottish girl, possibly named Adeline. At some point, this girl had become imprisoned in the fourth story room where much of the ghostly mayhem had taken place. For what reason is not known but she was terribly abused there and possibly starved. Finally, she had thrown herself out of the window to escape her predicament and was impaled on the sharp iron fence. This was the same death that one of the nameless sailors experienced decades later. Middleton’s story was another addition to the lore of 50 Berkeley Place but none of the hauntings there seemed to indicate a young girl’s spirit was involved. Unless her fear and despair was so great that it became a life force of its own…the “thing” that terrorized anyone else who visited the location. And her tale was thin on details as well. 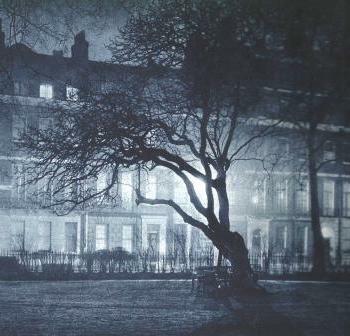 In the years following World War II, the reports of horrors and hauntings from 50 Berkeley Square began to dwindle. The place was thoroughly renovated and rentals began again. There were occasional incidents of eerie noises and objects being displaced, which helped to continue the unhealthy reputation of the townhouse, but the horrendous incidents resulting in death and madness no longer occurred. Perhaps the real-life horrors of the London Blitz overpowered the evil forces of #50 and drained them of their power. Or maybe the ghost stories lost their power to terrify after the destruction and carnage of the war. One of the last notable ghostly encounters happened in 1937 and was recounted more than 30 years later by Mrs. Mary Balfour, a Scottish clairvoyant who was a guest at an apartment on Charles Street. Mrs. Balfour was able to look out of her window directly into the upper floors of #50. At a time near New Year’s Day, she looked out that window and noticed a figure looking back at her. It was a man wearing the clothes of a well-to-do 18th century Englishman, complete with distinctive curly white “periwig”. She was struck by the aura of melancholy the figure radiated as it stared out of the townhouse window. Mrs. Balfour was not familiar with the reputation of #50 and when she told her hosts of the incident, they said that the location had been abandoned for years and was known as one of the most haunted locations in London. The identity of that figure is unknown. The aura of sadness that Mrs. Balfour described was certainly reminiscent of the late Mr. Myers who once lived there, but the old fashioned dress suggested a much older style. The figure also did not resemble the former Prime Minister George Canning who lived there in the early 1800’s. 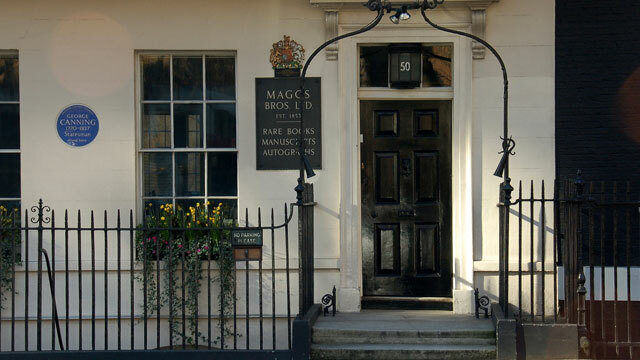 After the Second World War, the space was bought by Maggs’ Antiquarian Booksellers, who remain there to this day. In recent decades,all supernatural activity has ceased there. Perhaps the diabolical forces haunting #50 had an “expiration date” or maybe the bustle of activity at Maggs chased away the evil influences. Or maybe the ghost stories surrounding that spot grew more and more extreme as the years wore on, creating an impenetrable wall of lore about the place that took on a life of its own. To this day, curious visitors still arrive at the bookstore and ask the employees what they know about the “ghosts” there. The answers are almost always disappointing, as no current employee has ever seen or experienced anything unusual. Yet the decades when 50 Berkeley Square was empty and haunted will forever hang over the address.